Perhaps one of the most common and embarrassing signs of aging is getting a wrinkly neck. Often referred to as sagging skin or a “turkey neck”, this is an extremely common condition in both men and women 45 and older. It’s easily one of the most frustrating and difficult skin issues to deal with. It occurs as you age when the skin begins to lose some of its natural elasticity, or the ability to shrink back up and tighten to firm out. This process is worsened by things like smoking cigarettes or even just excessive sun exposure. The good news, however, is that there are ways to treat it. 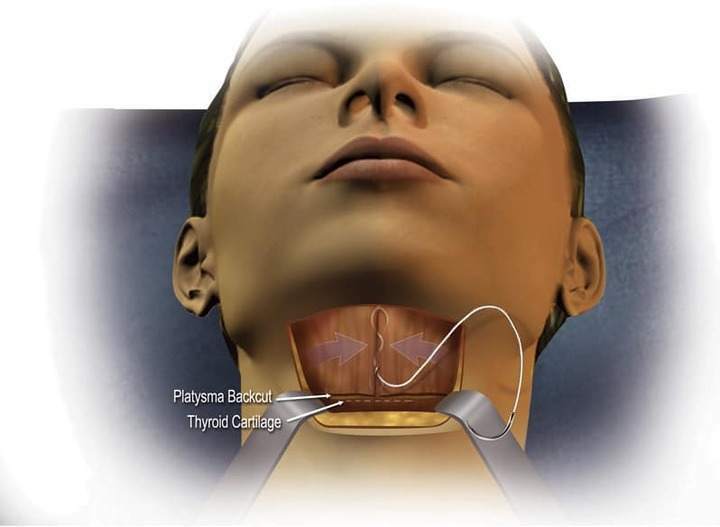 The most common ways of treating a turkey neck are surgical procedures and neck firming creams. Surgery is rather intense and expensive, though. This is why it’s recommended to try out a cream first. Creams are much more affordable, highly effective for most individuals, and require no recovery time whatsoever. The biggest issue with using a neck cream is finding the right one. There are hundreds of these creams on the market today. 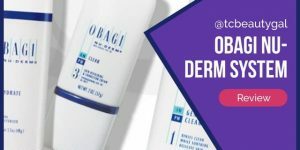 Every skincare company on the planet from Obagi to Clarins has a product available for treating wrinkles and sagging skin on your neck. So, how do you find the best cream for your personal needs? We here at True Cosmetic Beauty have made the decision a bit easier for you. 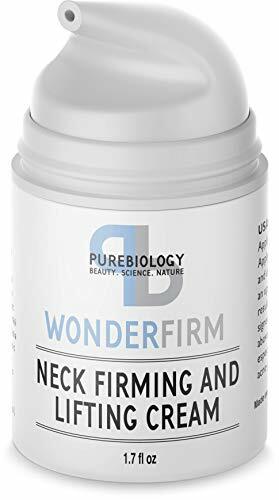 We’ve tested and reviewed many different neck firming creams already. Below we provide a list of the absolute best ones to use in 2015. Our top picks list was created after reviewing tons of creams and handpicking the best ones based on criteria such as effectiveness, ease of use, and, of course, price. 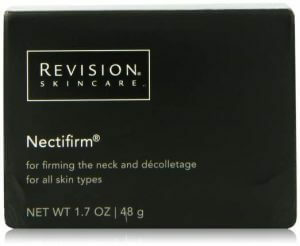 Our favorite cream by far is Revision’s incredibly powerful Nectifirm. This is an insanely effective product that works to firm and tighten the skin around the neck, eliminating wrinkles, sagging skin, and other rough edges around the area. 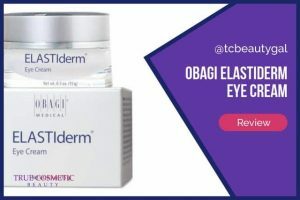 It uses a special blend of peptides, vitamins, and other essential nutrients to fully restore the skin’s moisture content and rebuilds the natural elasticity lost over the years. Want more information? Read our full Revision Nectifirm review for an in-depth breakdown. 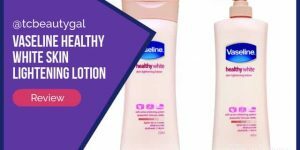 StriVectin is a rather well-known cosmetics company that develops everything from stretch mark creams to retinol products and beyond. 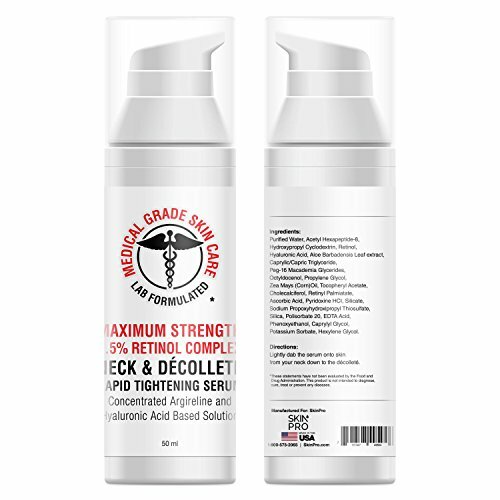 Their TL Tightening Neck Cream is our second highest-rated product for taking care of your neck. It improves the hydration within your skin, helps to restore elasticity, gives your skin back its ability to produce collagen, and it promotes the growth of new, healthy skin cells. All of this combined makes for an excellent firming cream. Want a deeper look at the pros, cons, and details of this cream? 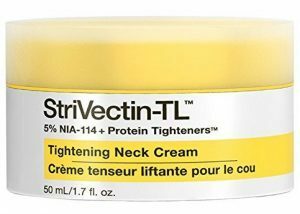 Be sure to read our complete StriVectin Neck Cream review to get the skinny on it. Now we come to a cream that is currently atop the Amazon best-sellers list within the facial lactic acids category. 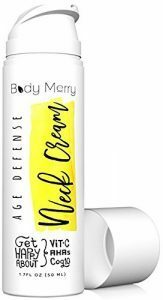 Body Merry’s Age Defense Neck Cream is designed to significantly improve the appearance of both your neck and chest. It provides great moisture and all of the necessities required to diminish wrinkles, tighten up loose skin, and give your skin a brilliant glow. This is one of the most affordable neck creams on the market, too. A true contender for the budget shopper. Looking to try it out? CLICK HERE to grab a bottle of Body Merry from Amazon. 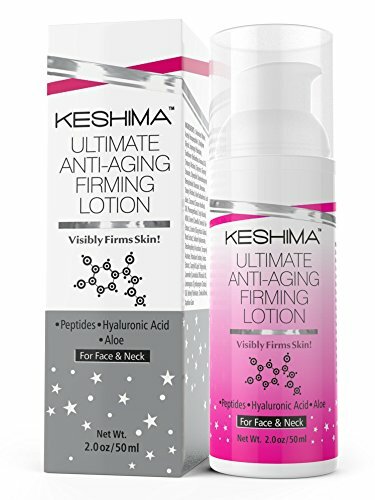 Keshima Beauty, the cosmetics company behind the Ultimate Anti-Aging Firming Lotion, isn’t too well known compared to other brands, but it’s making quite a splash with its unique and highly effective neck firming lotion. Capable of being used on both the face and neck, this awesome lotion goes on light, but has incredibly powerful agents in it that strengthen, firm, and tighten skin. 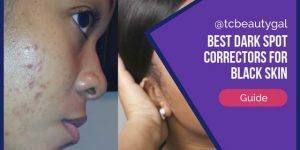 It works beautifully for removing those stubborn fine lines and eliminating that all-too-embarrassing sagging skin around your decolletage area. Keshima is on fire right now and has even been one of the best-selling products among facial skin care sets and kits on Amazon in past months. CLICK HERE to check it out on Amazon where you can view prices, and even read through reviews posted by actual users. GET COMPLIMENTED ON YOUR LOOKS - If you are dissatisfied with how the skin on your neck, face or chest looks, our face and neck cream can help you turn back the clock and look years younger. Tighten loose and sagging skin, smooth fine lines and wrinkles, restore firmness, softness, and a more youthful look to your face, neck and decollete. And you can use it under your makeup, night and day. Start getting compliments on your looks again! YOUR SKIN WILL FEEL BETTER THAN IT HAS IN YEARS - The Keshima face and neck cream hydrates the skin, is very light and non-greasy, absorbs very quickly, and a little of it goes a long way. Your skin will feel plumper and softer, better than it has for years! AS EFFECTIVE AS FAR MORE EXPENSIVE CREAMS - Our firming and tightening cream's advanced formula contains the same building blocks for younger looking skin that all the expensive products contain, including Complex Peptides and Vitamin C to stimulate collagen production and firm the skin, and Hyaluronic Acid to moisturize the skin and remove fine lines and wrinkles. SAFE FOR ALL SKIN TYPES - You can trust our neck and face firming cream, whatever your skin type! It has been shown again and again to work, does not cause a reaction even for people with very sensitive skin, is made right here in the USA in an FDA registered and inspected facility, and is not tested on animals. YOUR ORDER IS ABSOLUTELY RISK FREE - With our 120 days full money-back guarantee, if you are not satisfied, all you need to do is contact us, and we will fully refund your order - with no need for you to send anything back! Need a little more info? We’ve written a detailed Keshima neck cream review that reveals the product’s key benefits, disadvantages, and more. Give it a read. 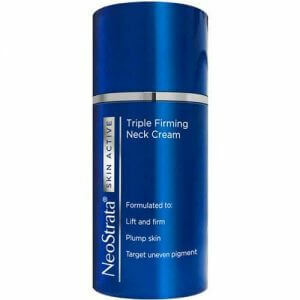 Finally, to round off our list of the best neck creams, we come to NeoStrata. 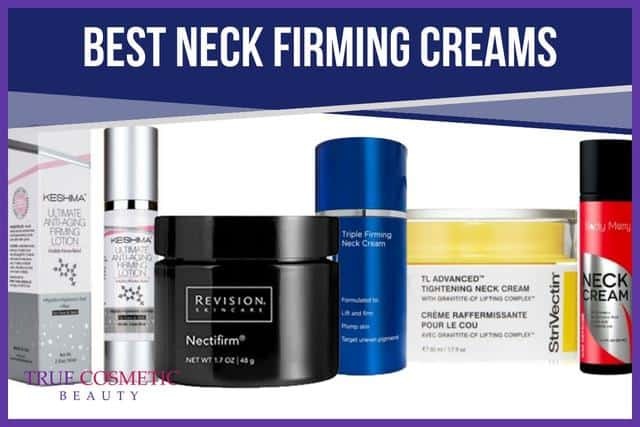 Their Triple-Firming Neck Cream is a relatively new product, but it’s already amassing rave reviews across the board for its clinically-proven effectiveness for reducing wrinkles & lines and restoring youth to the skin. 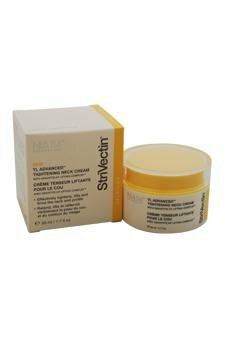 This unique cream is even able to fix skin discolorations and get rid of age spots on the neck while simultaneously tightening the skin. It penetrates deep into your skin layers and stimulates the growth of healthy collagen that revitalizes and refreshes the skin from the inside out. Want to give NeoStrata a shot at your neck? CLICK HERE to check out the reviews others have posted for it, view additional information, and see the price on Amazon. Interested in learning more about this product? 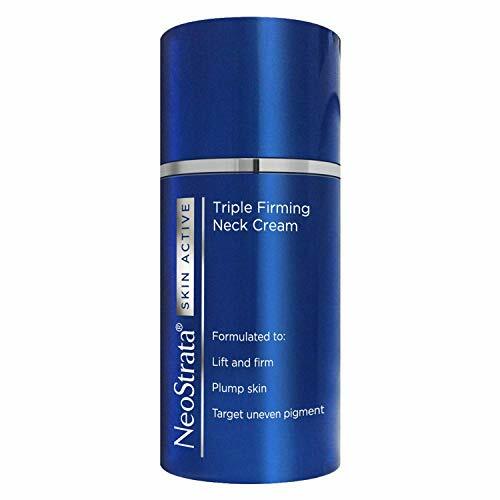 We highly recommend giving our full NeoStrata neck cream review to get a better idea of how well it works, what ingredients are in it, and loads more. As we mentioned earlier, creams aren’t the only way to go about getting rid of an awful turkey neck. There are more advanced methods as well. The fastest and most effective way to treat the sagging skin around your decolletage is surgery. A good plastic surgeon can give your entire neck a full lift, tightening the skin and making it look brand new in a rather simple procedure. The main disadvantages with this, though, are the cost and the recovery. A neck lift typically costs around $4,000 or more and results in roughly 2 weeks of intense bruising and swelling. The results are long-lasting and natural-looking, though, and there are very few risks associated with the surgery as it is rather straightforward and uncomplicated. 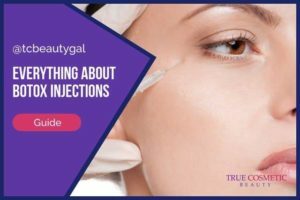 If you’re not ready to spend thousands of dollars on surgery, though, it’s definitely recommended that you give on the creams listed above a shot before booking a consultation with a surgeon. Chances are, you don’t need surgery to get the results you want. Sure, the results come a bit slower, but you won’t have to worry about going under the knife or spending an absurd amount of money to get a younger looking neck using a specialized cream. NECK & CHEST FIRMING CREAM: Delicate skin on your chest & neck is among the first to show signs of aging. Our Neck & Chest Firming Cream is a moisture rich blend that includes salicylic acid, & offers long-lasting hydration to boost your skin's firmness. GOLD BOND ULTIMATE: Aging skin decreases elastin, collagen, & levels of hyaluronic acid. GOLD BOND Ultimate Neck & Chest Firming Cream is formulated specifically for skin with visible signs of aging, helping neck & chest skin appear firmer & more youthful. GOLD BOND SKIN CARE: GOLD BOND isn't just for powder -- our Ultimate line of lotions and creams use moisture & hydration rich ingredients such as shea butter, aloe, CoQ10, salicylic acids, & hydroxy acids. 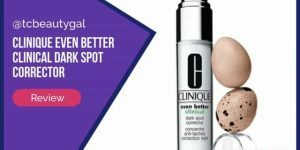 COMPARE TO OTHER FACIAL CARE ITEMS: Compare to products from brands like L'Oreal, Strivectin, Murad and ROC. RARE ANTI-AGING INGREDIENTS: This dual-action cream is enriched with peptides, stem cells, collagen & elastin, thought to work in synergy to tighten and rejuvenate the skin of the neck and décolletage. PLUS OTHER YOUTH ENHANCERS: Also contains Vitamins E & C and hyaluronic acid to help restore firmness and elasticity; minimize the appearance of crepiness, fine lines & wrinkles; & deeply hydrate skin. PURE, PREMIUM FORMULA: Manufactured in Israel to the highest quality standards. Contains no alcohol, parabens, formaldehyde, phthalates or hormones. GMO-free. Never tested on animals. STAY-FRESH BOTTLE: German-designed airless dispenser bottle enables easy, efficient product dispensing, seals in freshness & preserves efficacy of active ingredients. LOVE IT - OR YOUR MONEY BACK: We guarantee you'll be thrilled with the way your skin looks after using our cream. If not, simply let us know and we'll process a full refund promptly. TOTAL EFFECTS FOR THE NECK & CHEST - This rich, ultra-hydrating cream is specifically formulated for the neck and chest to lift, firm and tighten, while reducing the appearance of fine lines and wrinkles. 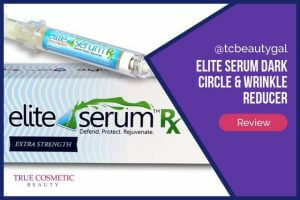 CLINICALLY PROVEN INGREDIENTS - Enhanced with two proprietary complexes, which provide both immediate & lasting benefits. Fision Instant Lift instantly begins to lift & tighten while Fision Wrinkle Fix has been clinically shown to deliver the most potent wrinkle reduction among non-RX grade cosmetics. INSTANTLY LIFT & TIGHTEN - Fision Instant Lift has been clinically shown to begin to firm, lift and tighten skin within 3 hours of application, while optimal results are achieved in as few as 4 weeks. FISION WRINKLE FIX - This naturally-derived, breakthrough formulation has been clinically proven to reduce wrinkles and age spots by promoting remarkable surges in cellular vitality and the skin's natural ability to produce hyaluronic acid. In lab studies, Fision has drastically outperformed anti-aging benchmark ingredients in promoting cell strength and hyaluronic acid synthesis. OUR PROMISE TO YOU - Comprised largely of natural ingredients, our formula is free of harmful additives, parabens, GMO's and cruelty (not tested on animals) and made in the USA. We take pride in our formulations and we want you to love them. If for any reason you are not 100% satisfied with the cream or the results, simply message us and we will process an immediate refund - no questions asked. 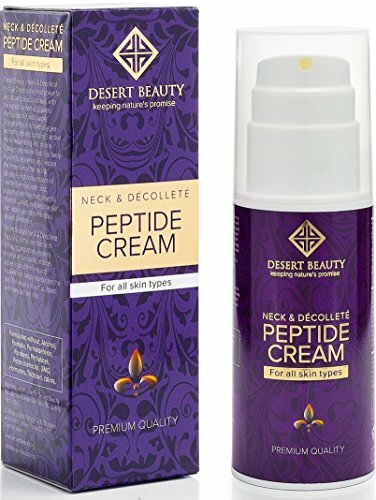 SAY GOODBYE TO CREPEY SKIN & TURKEY NECK - QUICK RESULTS, LASTING BENEFITS - Proven natural & organic anti-aging ingredients help to instantly moisturize and tighten sagging neck and crepey skin. With continued use, it actively combats the effects of skin aging, to reduce fine lines, blemishes and wrinkles so that you can have a more beautiful neck & chest area that looks younger and smoother than ever before. Bottle contains 1 fl oz of product. 3-IN-1 TREATMENT IS A MUST-HAVE IN YOUR SKINCARE REGIMEN - This versatile anti-aging treatment can be used in many ways for many benefits. It's 3 products in one! 1. Neck and Chest Firming Cream. 2. Moisturizing, Anti-Aging Face Cream. 3. Also for other areas on your body, that have crepey or sagging skin, like your Arms, Legs or Elbow. Use it for specialty areas, or simply use it to replace your Anti-Aging Moisturizer. It works! IT'S ALL IN THE INGREDIENTS - OUR NATURAL NECK FORMULA IS UNIQUELY BETTER - Your neck deserves better! That's why we chose proven, natural and organic ingredients renowned for their anti-aging properties: Vitamin C & Peptides support collagen and elastin, preventing sagging & loss of firmness. Retinol helps with cell turnover, firming, tightening and toning. Jojoba Oil hydrates & keeps skin supple. Vitamin E and Green tea protect and repair skin and help with fine lines and wrinkles. 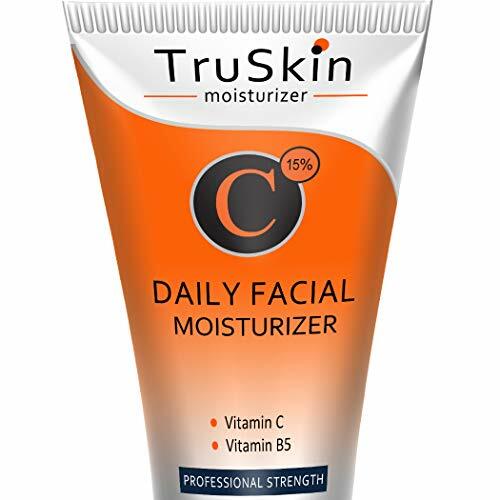 PERFECT FOR ALL MEN & WOMEN, ALL SKIN TYPES, YOUNG AND OLD - We formulated this cream for all skin types - sensitive, dry, normal, oily or combination skin. Your neck area shows age very quickly, and that is why everyone needs to add a neck cream to their beauty regimen. 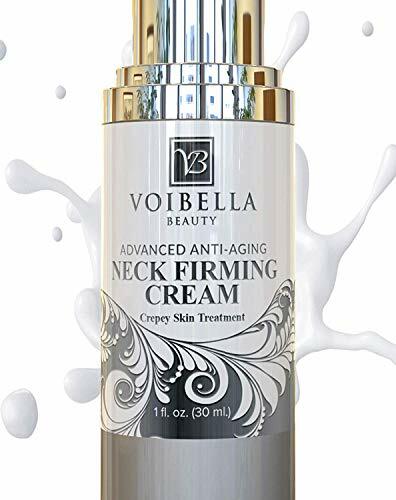 For mature women, voibella's neck cream will help to tighten and firm your skin. If you are younger, it will help prevent sagging and crepey skin. It's never too late or early to start using a neck cream. VOIBELLA BEAUTY'S RISK FREE GUARANTEE & QUALITY ASSURANCE - Our products are made in smaller batches, with love. We use it ourselves and trust it! It's made in FDA-Registered and GMP-Certified labs right here in the USA. Our formula contains natural and organic ingredients, and are free of sulfates, parabens and are also not tested on animals. We back up our quality with a 100% Risk Free, 365-day Manufacturer's Guarantee. If you find anything wrong with the product, contact Voibella to fix it.